Sheridan is a writer, speaker, and broadcaster on faith and spirituality from Oxford UK who has written several books including Resurrection Year: Turning Broken Dreams into New Beginnings which we will be talking about today! He has spent 18 years in radio and has been featured in numerous TV and radio programs, and he speaks at numerous conferences and events internationally. 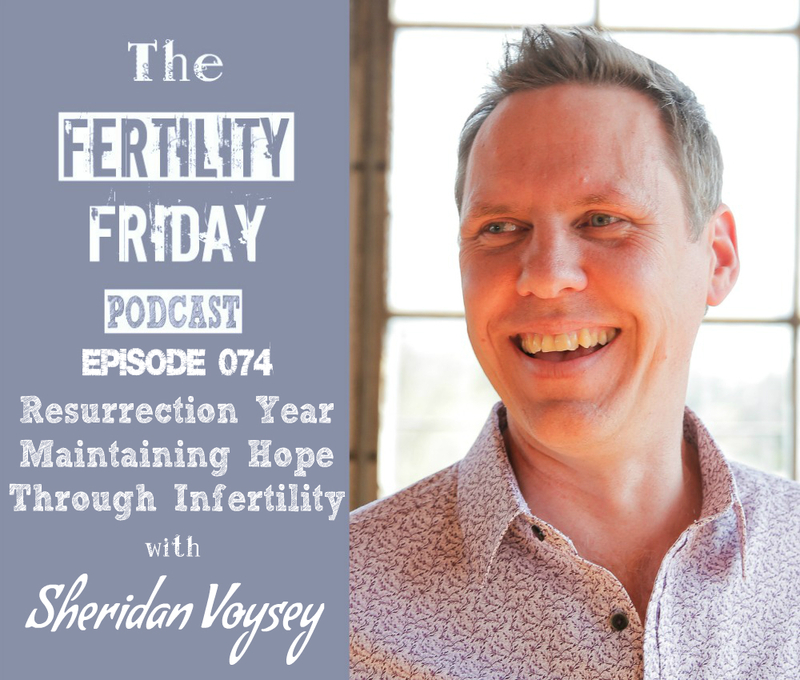 In today’s show, we talk about Sheridan’s book Resurrection Year which chronicles the 10-year fertility journey that he and his wife went through, after which they did not conceive or adopt. We talk about broken dreams, and what happens on the other side when you don’t get the outcome you were hoping for. What is a resurrection year? What are some ways we can create a fresh start and create a resurrection year in our own lives? Thanks for this enjoyable conversation, Lisa. And for all you do to help folks maintain hope. Thank you Sheridan! It was my pleasure ? That was amazing. I really needed to hear this today. I was glued. Thanks for our honesty. So nice to hear a male voice too. And non preachy or smug. Thank you thank you thank you. I am resting in your calm tone. Thanks so much Lex! So glad you enjoyed the show ? I listened to this yesterday on a road trip and it was so great. I’m 2.5 years and two miscarriages into an unexplained secondary infertility journey. Coming to terms with/finding meaning in the answer being no is timely for me. As soon as I got home I put in a request for my library to buy it and they told me this morning that they will purchase it! And my husband and I have recently made the decision to stop trying and for me to have a hysterectomy due to stage 4 endometriosis and pain…. Our hope now is to close that door and open a new one and try to adopt children. I have been struggling as my surgery comes closer I am having surgery in a little less than 2 weeks. I am growing more nervous each day. I have had one of my very bad pain days and very emotional days today and Someone in my Facebook support group suggested this podcast and I want to say this was exactly what I needed to hear tonight. And I have just purchased the book discussed in this podcast I am awaiting it’s download from kindle.